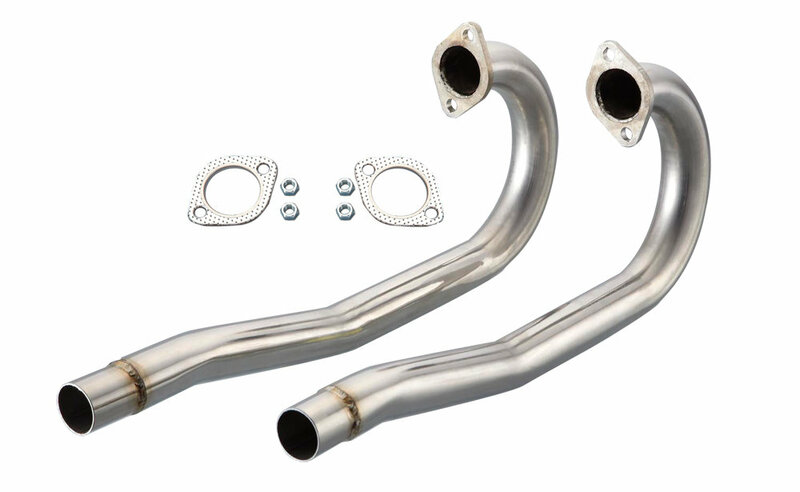 Vintage Speed stainless steel 38mm J Pipes, fit Type 1 original style muffler. Include 2 gaskets for exhaust port. Original heater box clamp (111 298 051A ) does not include.